Here in Italy, we had our second Family Encounter. This time it took place in Ollomont, Valle D'Aosta, with participants from Brescia, Bergamo, and for the first time, Turin. In total, 110 of us got together to spend a few days together in the mountains of Valle D'Aosta. The Lord and our Blessed Mother poured out many graces during this brief but very intense encounter. 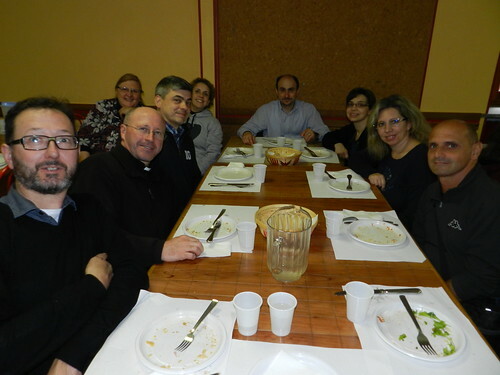 Aside from the three communities of Servant Sisters present in northern Italy, we were also fortunate to have the presence of the community of Servant Brothers from Rome and Fr. Felix, who came from Spain. The presence of two priests during the encounter was priceless. It poured rain during the encounter, but greater was the grace poured out, and in spite of cold and wet feet, we all left very happy and with renewed strength to fight for holiness. The encounter began on April 29 and ended on May 1. It took place in the mountains of Valle d'Aosta in the San Cristoforo House, in Ollomont. There were activities corresponding to every age group: children, teenagers, and adults. The theme of the encounter for the adults was freedom. In the two talks, Sr. Annemarie and Br. Nicolas spoke about true interior freedom, how to attain it, and the conditions for freedom, etc. After each talk, we went deeper into the topic with team meetings, which helped us understand that freedom means being in God’s truth. During the encounter, we had the first showing of the documentary about the life of Sr. Clare: “O tutto o niente,” [“All or Nothing”] with subtitles in Italian. It was a grace for everyone as well as a call from the Lord to make us question ourselves about our own generosity and openness to God. In the homily that followed the showing, Fr. Felix told us that Sr. Clare’s life should make us not only ask, “Sr. Clare, who are you?” but also, “Lord, who are You, for You have done such a great work in Sr. Clare?” He said that her testimony points to the One that performed His work in her. It is a calling to let Him do His work in us, too. The time spent in prayer and Mass were very important moments during the encounter, where we were able to find Jesus alive and really present in the Eucharist in a recollected and prayerful atmosphere. 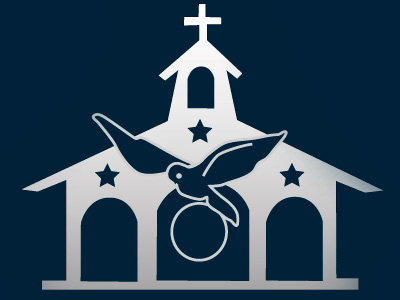 The guided meditations and homilies, given by Fr. Rene and Fr. Felix, stressed the importance of conserving the graces we were receiving—they clearly spurred us on to holiness. On the night of April 30, we had a Marian Holy Hour to prepare us for the Month of May. Once again, we were able to see how Mary draws us closer to Jesus and how Jesus gave us His Mother for Our Mother. Our Blessed Mother was very present during the encounter, especially in the Rosary that we prayed together as a family. One of the days, the rain stopped so that we could pray a walking Rosary while enjoying the landscape. We also had the enrollment of the scapular and many families placed themselves under the shelter and protection of Our Lady. At the same time, the children had their own activities: games, crafts, meetings, and prayer time. The teenagers also had time to reflect on how they can grow in the Faith and draw closer to the Lord after the example of persons who lived exemplary lives. In the final assembly, we saw how the Lord had indeed done great things for us. In such a short time, He poured Himself out. The encounter has borne much fruit. We give thanks to God and Our Blessed Mother for this second Family Encounter and we entrust the spiritual life of all those who participated to them, so that everything we received may be kept as a treasure that ought to be conserved.